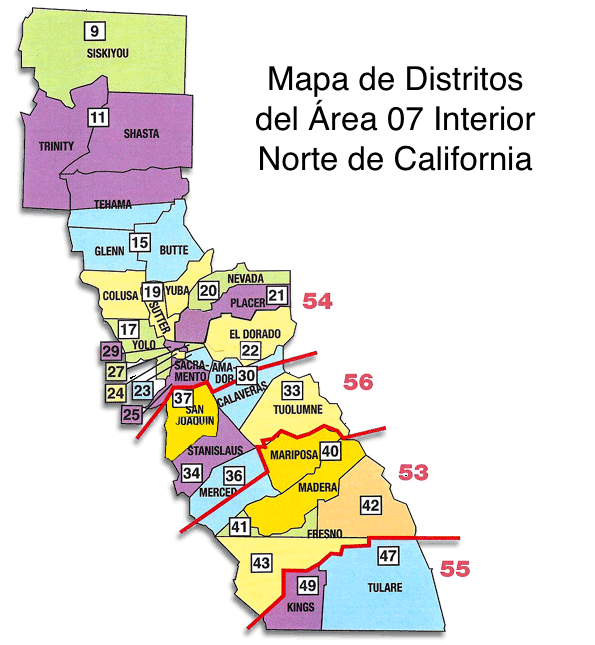 California Northern Interior Area (CNIA) is one of six A.A. General Service Areas in California and extends from the Oregon border in the inland valleys south to Kings and Tulare Counties. CNIA contains 28 Districts including four Spanish Language Districts. A district is a geographical unit containing groups. There are over 1,100 groups in the area. Each group has a group service representative (G.S.R) and each district is lead by a district committee member (D.C.M.). Hover over district number for meeting information.